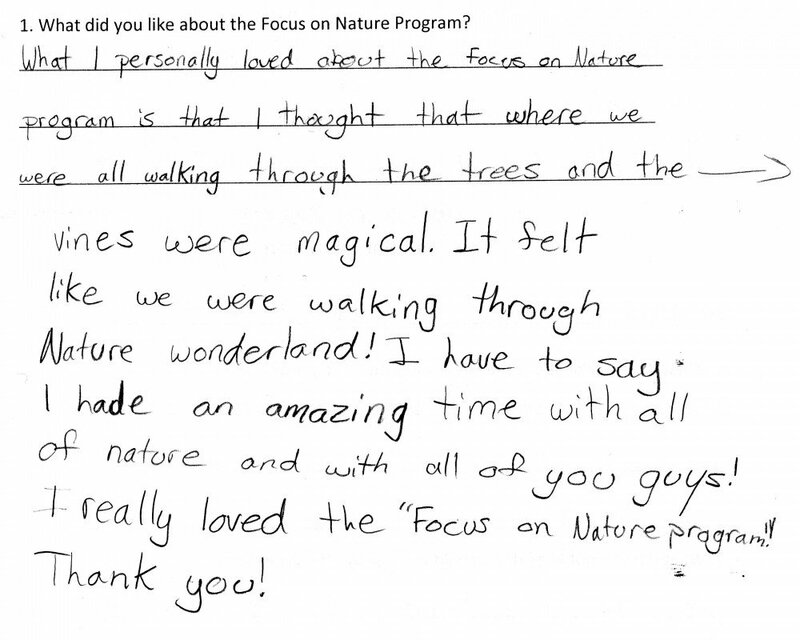 My students and I had the best experience with Focus on Nature. My students are all learning disabled and struggle with reading and writing tasks. They are reluctant to try and persevere at new things and often have trouble socially. They became quickly involved and learned that anyone, no matter their skill level or experience can take a picture. I even found myself as excited as them as I learned to take and edit photographs of nature. My students learned several skills during the session with FON: the power of keen observation, appreciation of nature, recognizing natural beauty around us, camera use, computer skills, recognizing the strength of a compliment to another, working with others and patience. The FON session had such a positive impact on my students that they asked whether they could take and edit more photos. I ended up extending the knowledge my students learned with the FON session and added photography to my media lessons for the term. Focus on Nature allowed a group of kids who would not normally have the opportunity to use a camera and participate in a “learn how to do photography” camp learn a great skill. The appreciation and love for the arts is so necessary to allow a child to explore his/her own strengths fully. It is my belief that by giving children the experience to explore the arts leads to more well balanced, intelligent adults. 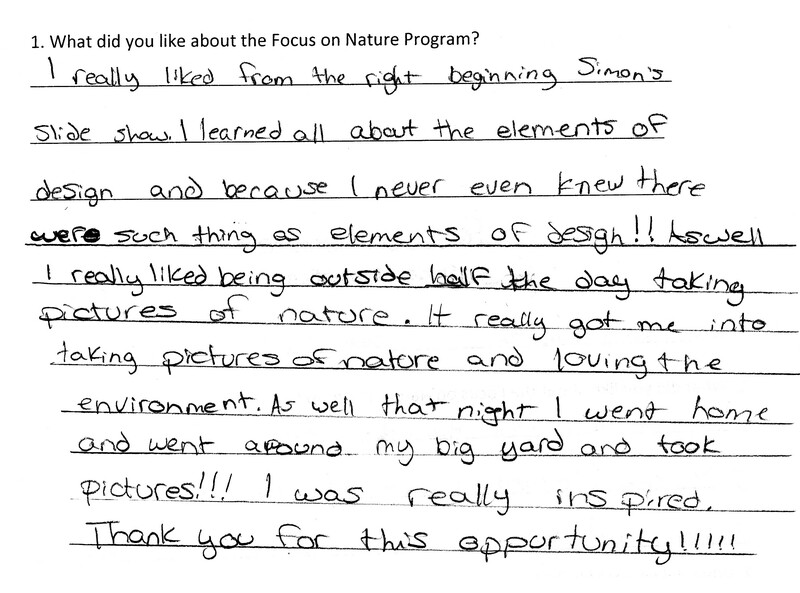 Thank you Focus on nature for a truly wonderful experience for my needy students.